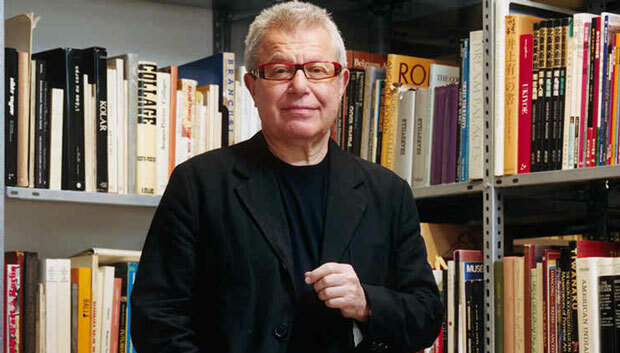 Daniel Libeskind, commonly known for putting emotions in his design, was born on May 12, 1946 in Łódź, Poland. Libeskind had passion for music since a very young age. To pursue his interest he studied music at the Łódź Conservatory. After some time his artistic bend diverted and he moved to Cooper Union to study architecture. In 1972 he received his master’s degree in the history and theory of architecture from the University of Essex, England. Right after the studies Libeskind worked at some offices for a brief period of time but didn’t find himself adjusting with the atmosphere. He did not feel comfortable working on designs and ideas of other people, instead he wanted to generate something out of his own perceptions. This is the reason that Libeskind took a turn and acquired the professional life of an architecture theorist and professor and gained a lot of fame as an academic. Taking courage from it, Libeskind then moved to Italy and founded his own small school, Architecture Intermundium. He was the only professor there teaching a dozen of students in the beginning. By the end of 1980s Libeskind got an invitation for a design competition, as an acknowledgement to his services as a thinker and teacher. This was the first time in twenty years that Libeskind was going to produce design for a building apart from his teaching profession. 1999 was the year of international recognition for Daniel Libeskind when he got to make The Jewish Museum in Berlin. Later on Libeskind went on making a variety of buildings with a diversity of programs including cultural and commercial institutions, museums, concert halls, convention centers, universities, residences, hotels, and shopping centers. Another milestone project of Libeskind’s career was the rebuilding of the World Trade Center after September 11, 2001 attacks, supervised by the Lower Manhattan Development Corporation. Libeskind, who had lost most of his family to the incident, named the concept of the project the Memory Foundation. Apart from architectural works, Libeskind has earned a lot of fame for his collaboration with numerous international firms for product designing, furniture, industrial fixtures and interiors of buildings. Another field of Libeskind’s competence is set designing. He has designed sets for a number of theaters and operas. For some peculiar operas he even opted for designing the costumes as well. Libeskind is also very fond of writing and has written a book called Fishing from the Pavement and keeps writing free-verse prose.